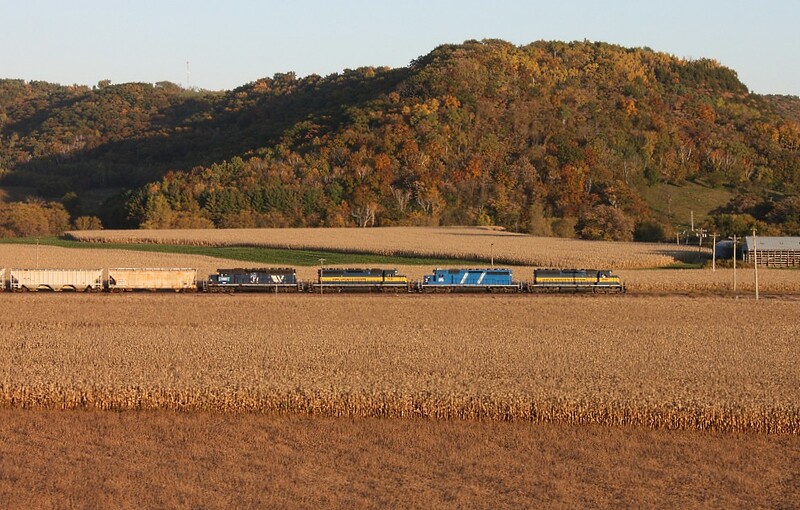 The photographer says: Late afternoon found two westbound trains ready to leave Minnesota City as MOW crews wrapped up a day of work installing welded rail on Stockton hill. The ethanol empties were followed shortly after by train 277, seen here at M.P. 11 nearing Stockton. The trailing unit still wears the paint scheme of IC&E predecessor Iowa & Minnesota Rail Link.